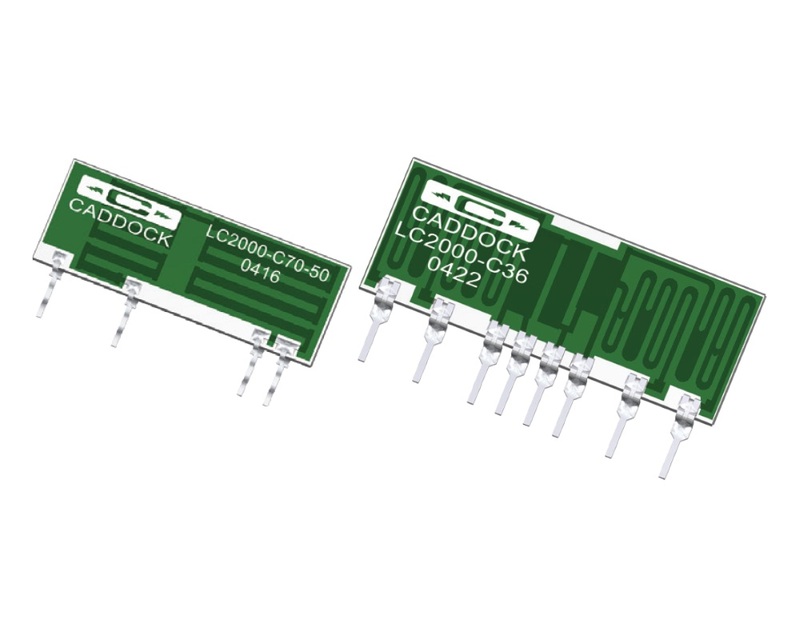 The LC2000 transient tolerant precision resistor network series from Caddock is available with standard and custom resistor pairs, all with precision ratio tolerance options of ±0.25%, ±0.5% and ±1.0%. Quick fail-safe performance when exposed to cold start voltages of 120VAC, 240VAC, or 600VRMS AC. Protecting telephone system wiring from damage or ignition. Available with optional spring thermal cutoff protection, mounted on the resistor network substrate. When excessive low voltage power cross causes excessive heating in the resistor network, the spring thermal cutoff opens the circuit and protects the circuit board from heat damage or ignition. Available with optional thermistor temperature sensing element for controlling a relay circuit which disconnects the excessive low voltage overload, protecting the circuit board from heat damage. Product drawings for the product which meets the needs of your application are available upon request. Each product drawing describes how each network is designed to meet the applicable requirements of GR-1089-CORE and ITU-T K.20. Custom precision resistor network configurations that can best meet your needs are available upon request. Please contact us with your requirements.